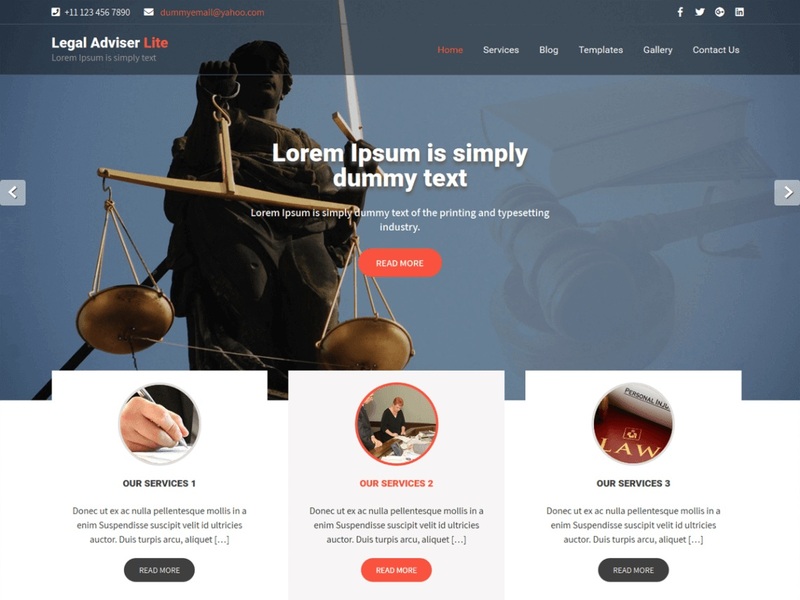 Legal Adviser Lite is a responsive, beautiful, simple and easy to use lawyer WordPress theme. It is developed to create a resourceful and powerful website for solicitor, lawyer, law firm, attorneys and legal counseling agency. This theme can also be used to create websites for corporate, restaurants, hotel, photography, portfolio, blog, personal and multipurpose projects. This theme is a perfect platform for creating a professional legal counseling website for various agencies and law firm.